Christmas is approaching but instead of feeling joyful, many in China have expressed frustration over China's ideological campaign against Christmas as a Western festival. In 2017, the Chinese Communist Party (CCP)'s central committee and state council issued an official document entitled “Suggestions on the implementation of projects to promote and develop traditional Chinese culture excellence”. 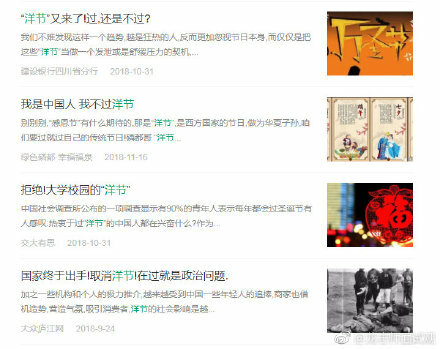 They outlined a cultural revival project that lists Chinese festivals like the Lunar New Year and the Lantern Festival, among others, as cultural conventions worthy of celebration. You're a mean one, Mr. Xi: In some Chinese cities, the Grinch is getting his way this year. Some Weibo users have shared school notices that were distributed to students. 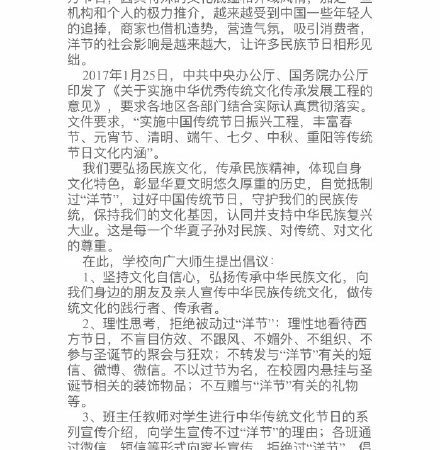 One of the notices refers to the “Suggestions” mandate and urges teachers and students to resist Western style celebrations.